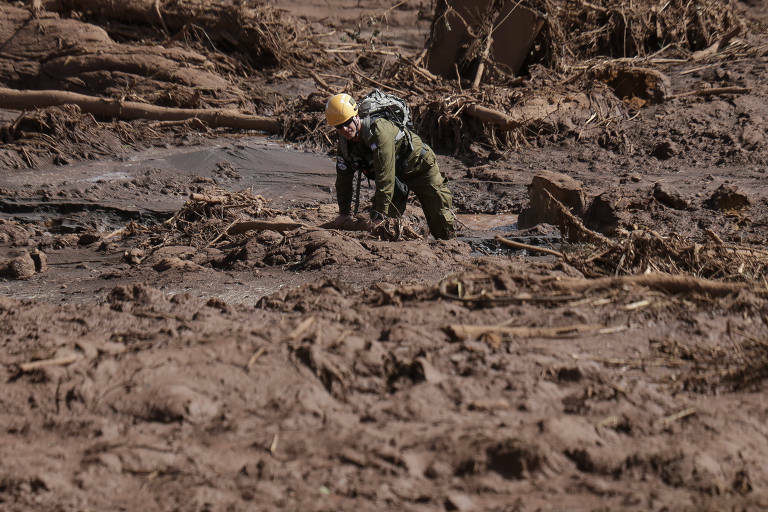 With mud up to their necks, the firefighters working in the rescue operation from the Vale dam collapse in Brumadinho are the lead characters of a dramatic effort that, even under extreme conditions, already found 84 bodies and located 192 survivors. There are 276 people still disappeared. The firefighters stay up to ten hours inside the "hot zone," where the bodies and wreckage are located. The resting period between rescue missions is six hours. In total, 436 professionals are working in the rescue efforts, and they sleep in camps, inns, and public schools. Because of its liquid nature, mud fills up all available spaces, which makes air pockets unlikely. The mud is also worse than water because it's denser. The mud's impact when it hits people can cause a lot of physical damage -- this is why rescuers often find only body parts. Such close contact with this tragedy can affect their emotional state. There are psychologists on duty in Brumadinho to help the servicemen. There is also another aggravating factor: the firefighters are not getting paid. Their employer, the state of Minas Gerais, declared bankruptcy in 2016 and since then, it regularly delays and pays civil servant's paychecks in installments. The rescue teams working at Brumadinho have not yet received their Christmas bonus, which will be paid in 11 installments through 2019.